Because an uncomfortable basement won’t give you the man cave or craft room you desire. Is your basement extremely cold or hot, not allowing you to fully take advantage of this living space? Outside air leaking into the basement can cause uncomfortable temperatures that are hard to regulate. Insulating and air sealing the rim joist and basement walls with spray foam insulation will transform your basement into the comfortable and fun space your family will want to spend their free time. The air seal created by foam insulation is key in creating a basement with consistent temperatures no matter the season. With less cold air coming in, floors on the main level are more comfortable with reduced drafts around the foundation area. Spray foam doesn’t promote mold like traditional insulation types, preventing future headaches. Insulating your basement with spray foam insulation is the best choice to transform it into the comfortable room you’ve been dreaming of. Over the past 15 years, we’ve used foam insulation to help homeowners take back control of their home’s comfort and energy efficiency. Our expert estimators, experienced crews, and educational office staff work to guide you through the whole insulation process with ease. In addition, our lifetime warranty gives your family access to our family long after the job is complete. 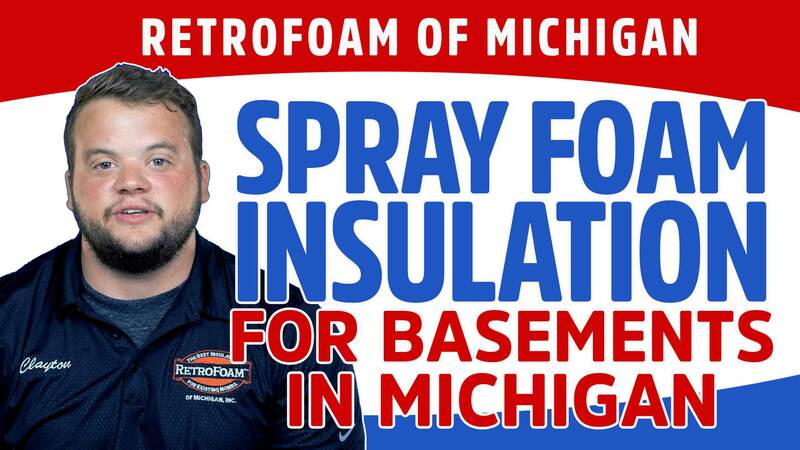 In most cases, unfinished basements, including Michigan Basements, are quite simple to insulate with spray foam, whereas finished basements can most definitely still be insulated but are more challenging to gain access to the rim joist and walls. Most rim joists are easily accessible in unfinished basements and in finished basements with drop ceilings. If the basement rim joist is not accessible, drywall would need to be removed to properly insulate it and the foam may need to be injected into the cavity instead of spraying it. Studded walls of an unfinished basement can be sprayed with foam, while walls with drywall would need to have holes drilled between the stud cavities to inject foam in them. If there is any old insulation in the basement ceiling, it must be removed before the space can be insulated. If there is a drop ceiling, the tiles will be removed and the space will be sprayed with foam insulation. If there is drywall, then holes will be drilled into the ceiling and injection foam will be used. 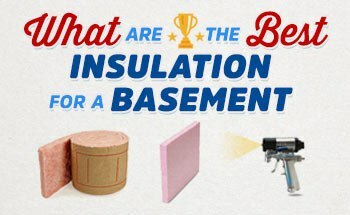 Looking to compare all basement insulation materials? 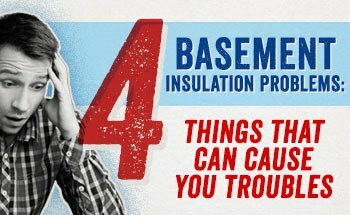 Learn about the pros and cons of the most common basement insulation types and which is the for your project. 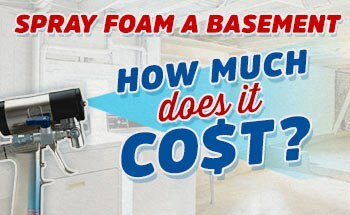 Curious on the cost to insulate a basement? Learn about the factors impacting the price of foam insulation, as well a rough range that it may cost. 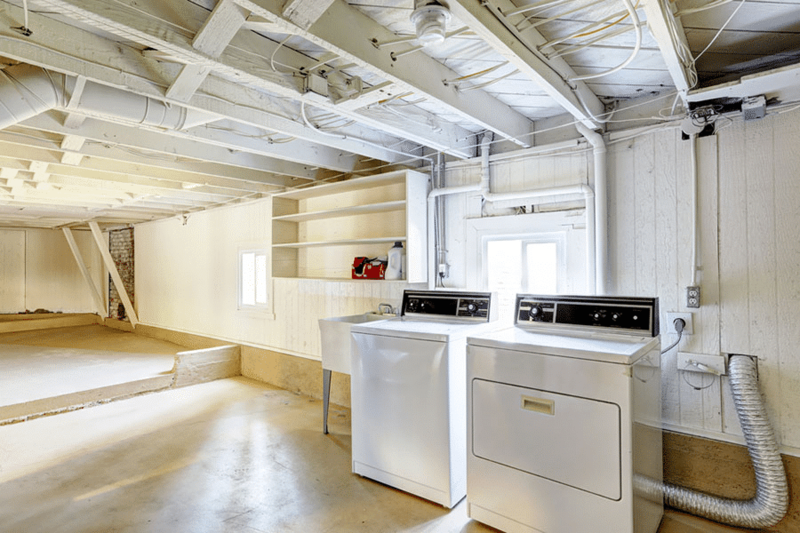 What happens when a basement has poor insulation? Learn about the problems poor insulation can cause and how they can be prevented. Can you insulate the concrete block walls in my basement? We sure can. If you plan to leave the walls exposed, we can inject foam into the core of the blocks. If you plan to put up drywall over the brick, we can spray it first. Learn more. Will spray foam help with the mold and mildew issues in my basement? Yes, because spray foam creates an air seal that keeps outside air from meeting your interior air, which can cause condensation when there is a temperature difference. Spray foam also doesn’t promote mold or mildew growth. Learn more. Begin the journey to create the basement you've always wanted.